The Windsor pattern was created by the Reading Hardware Co. circa 1885. We adapted this pattern to one of our popular surface bolts. This latch has springs and positive latch points. Supplied with a decorative surface catch. 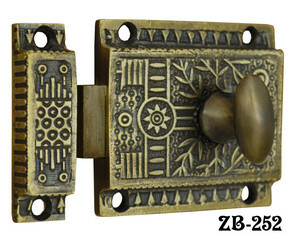 Latch: 2 7⁄16" wide x 2 5⁄16" high. Catch: 9⁄16" wide x 2 5⁄16" tall. 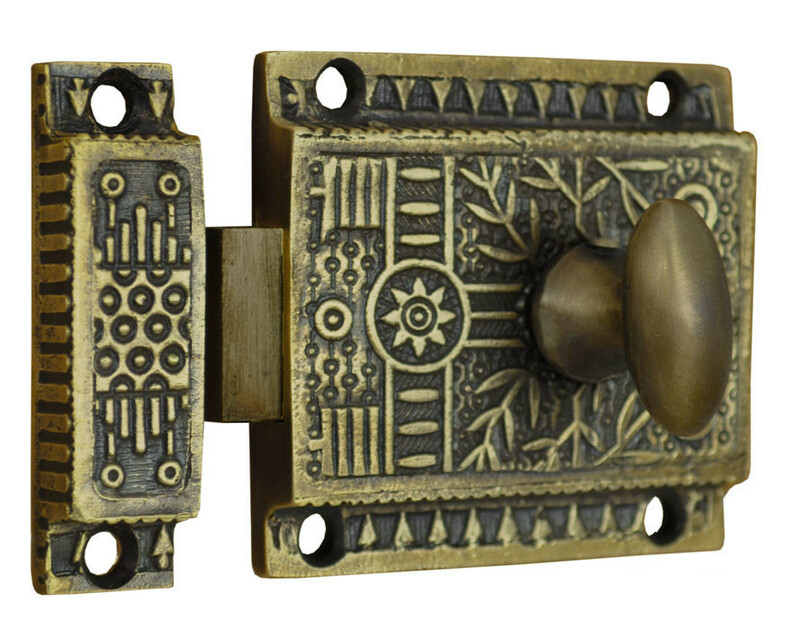 Available in Antique Brass Finish, or our matte black Oil Rubbed Bronze Finish. Make your selection by using the "Options" menu above.